Official: The Nationals set their Opening Day roster! 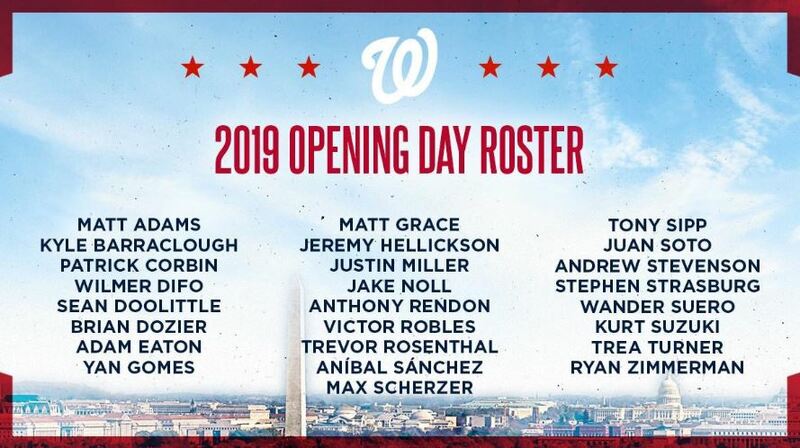 The Washington Nationals have set their Opening Day roster, and in mid-February there would be some names on the list who would surprise you. But after the team officially announced on Tuesday that they optioned Austen Williams and Adrian Sanchez to Triple-A Fresno leaving 28-players remaining on the roster, it was not hard to decipher who was on the roster unless a last-minute acquisition was orchestrated. If you noticed the math is off, that is correct as there are three additional roster moves that needed to be made procedurally to set the final roster. The Nats placed three players on the 10-day IL to pare down the roster to the required 25 players. These IL moves were fairly well-known as Michael Taylor is nursing a strained knee and hip, Howie Kendrick is working his way back from a strained hamstring, and Koda Glover is rehabbing a sore shoulder in his right arm. 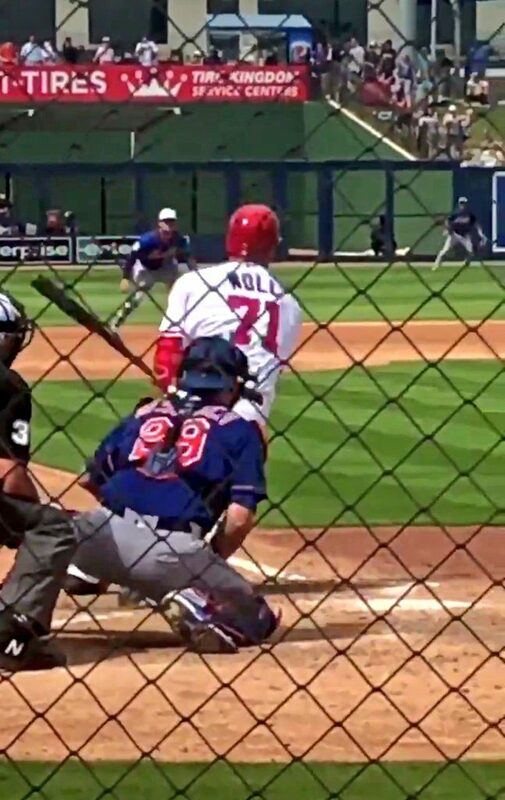 What that all means is an NRI made the roster and that is Jake Noll who was never a Nats top prospect, but he worked hard and the hard work paid off with a very solid showing in Spring Training. Noll essentially takes Kendrick’s spot. Andrew Stevenson makes the roster as the 4th outfielder in place of Taylor. Wander Suero takes the last spot in the bullpen, and Jeremy Hellickson will be skipped in the first time through the rotation die to all the days off, and he will begin the season in the bullpen. Yes, Tony Sipp made the roster after his early mid-March signing, but he never appeared in a Spring Training game due to the timing, rather he pitched on the Minor League side of camp. There is your 25-players who made the Opening Day roster. The Opening Day line-up should be posted on Thursday morning. You can debate some of the roster moves, and perhaps we will never know who the starting centerfielder would have been if Michael Taylor was not injured as there seemed to be Spring Training lineups that pointed to Taylor as the favorite as he started off the spring blazing hot. His injury sealed the deal that the Nats top prospect Victor Robles would be the starting centerfielder. There was certainly some debate as to whether Austen Williams would make the bullpen ahead of Suero, and Adrian Sanchez ahead of Jake Noll who was not on the 40-man roster previously and entered spring training camp as a non-roster invitee making him a long-shot. This may come as a surprise but this is the first season that the Nats did not have a player placed on the 60-day IL list. There are the 3 players we mentioned on the 10-day IL list, but the Nationals wanted to be healthy going into the season and for the most part they accomplished that. This entry was posted in Analysis, Roster. Bookmark the permalink.